Professional service with competitive price. Was terrific to do business with. Highly recommend this service for bin hire. Jasmin J.
Zaks Bin Hire got the job done. It was a good service for the fee. I’m happy to recommend! Deirdre B. Excellent customer service, over the phone and face to face. Have used them 3 times now and will continue to recommend them to family and friends. Sarah G.
Quoted cheapest price to hire bin. Delivered before promised time and picked up on time. Very good service. Dan K.
Whether you are doing spring cleaning in you home or need to take care of the debris left after a renovation, Zaks Bin Hire has the perfect skip bins to serve your needs. Our Melbourne Bin Hire company provides the most versatile and convenient solution to dispose of the waste. You name it and we would have the right-sized skip bin for all types of rubbish removal in Melbourne. Our experts can guide you in making the correct choice from our 4m to 14m bins which cover all load types. 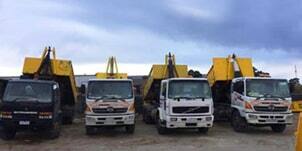 Zaks Bin Hire can handle all the pressing issues related to skip bin hire. Whether you are renovating your house or giving a new look to your garden, we will prove to be the most reliable skip bin hire service. The foremost benefit of our skip bins is that they tend to save your time and energy while not costing an arm and leg. If you choose to carry out the rubbish removal task yourself, you would have to arrange for the means of collecting waste and transporting it so that it can be disposed of properly. This will only create some additional troubles for you. Unless you are already working for the waste removal industry, there are slim chances that you would be able to carry out rubbish removal in Melbourne appropriately. Using Zaks Bin Hire skip bins is a neat and clean way of carrying out the job. Simply disposing of the waste in a Melbourne landfill would not prove to be the most environment-friendly solution. You just need to follow three simple steps to hire us and make the waste disposal task no more of a hassle. 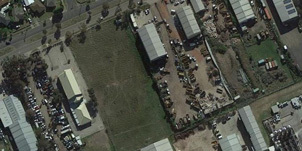 We provide the same day delivery in Melbourne so this means that you can easily get the skip delivered to the location whenever you need it. From the disposal of construction debris to taking care of the excessive shrubs and plants in your garden, we have got you covered. Our skip bins have been designed to accommodate different kinds of waste and come in a variety of sizes from big to small. Zaks Bin Hire will help you in saying goodbye to all your skip bin hire problems. Being one of the top skip bin hire services in Melbourne, we are equipped with the right resources to ensure smooth and efficient waste disposal and recycling. Our large fleet of trucks, wide range of skip bins, and resourceful staff make rubbish removal in Melbourne not something to be worried about. Because of our large fleet, there is always a vehicle available for the customers who require emergency waste disposal. Our skip bin hire services will be available to you within a few hours of making a call. We can even help you in choosing the proper resources in accordance with the task at hand so that all the chores can be performed on time and in the best possible manner. We have various sizes available which suit the needs of different projects belonging to varying magnitudes. Not everyone has the expertise and capacity to handle such huge trucks which are carrying some of the most hazardous material. Our staff carefully loads the equipment in the skip bins and if there are sensitive items, they are packed properly beforehand. It is our drivers who ensure that the waste is taken to a proper landfill where it is recycled if possible. If there is no way to reuse the items, we ensure that it is taken care of in such a way that it doesn’t become the cause of any kind of damage to the life on this planet. Call us today and receive a free bin hire quote. 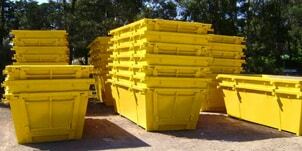 We aim to provide you with the cheapest bin hire prices in Melbourne while still providing the great customer service. Was your last experience with a bin hire company not satisfactory? Did they just leave you midway wondering what to do next? You need not worry anymore, as you have found yourself the finest company to perform the job for you. Zaks Bin Hire is a Melbourne bin hire company which is suitable for homeowners as well as businesses. Regardless of the size of your skip bin hire needs, we have the right skip bin size and the perfect place to discard the waste without damaging the environment. Most of the waste we collect from the households comprises of such items which can easily be recycled. But if someone is working on the garden renovation, there will be soil, concrete, and large tree stumps involved and these heavy weight items escalate the total charges. We can take care of them for you without any additional charges! For all your unusual items, we will arrange for another way to recycle them and help you in saving a good amount of money. We will also be more than happy to help you transport those tricky items which anyone else does not take responsibility for. We take extra measures for the items which cannot be recycled and ensure that they are disposed of properly. As you hire a skip bin service, your care for the environment should never leave you. Working with us would mean that you have hired someone who follows the necessary measures to keep the environment clean and promote maximum recycling. Throughout Melbourne, our skip bin hire services are focused on a cleaner and greener environment by separating the waste into three different categories – green, recycling, and general waste. For the past few years, the different struggles to control the waste produced and promote recycling have caught pace. At Zaks Bin Hire, we strongly believe that we need to leave a greener planet for our future generations. Thus, we have amplified our efforts in this regard and keep working towards a healthier environment. If you want to recycle any of your excess items, call us now and let our representative devise a fine solution for you.